Sound of East Asian instruments combine to create the sensation of dancing amidst a floral garden. This unique album effortlessly caught worldwide attention at the Music Exhibition of MIDEM in France. It employs Asian instruments to portray the extraordinary nature of bamboo, the calming fragrances of chrysanthemums, the alluring gestures of plums and the charming character of pine. Sit back and relax in this harmonious natural scene, sense the gentle Eastern breeze as you listen to these distinctive melodies. 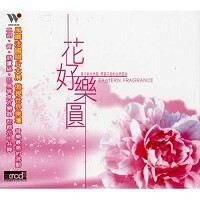 Beautiful garden scenery is portrayed by the traditional Chinese instruments in this recording.